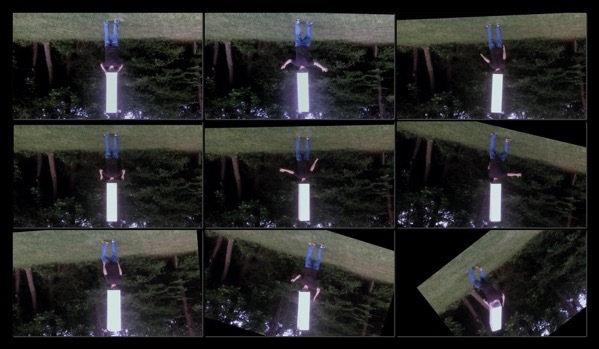 Multistable Inversion is a slow motion video loop of an upside-down figure trying to balance a pedestal on his head. As the pedestal fall, the video twists to keep the column stabilized. 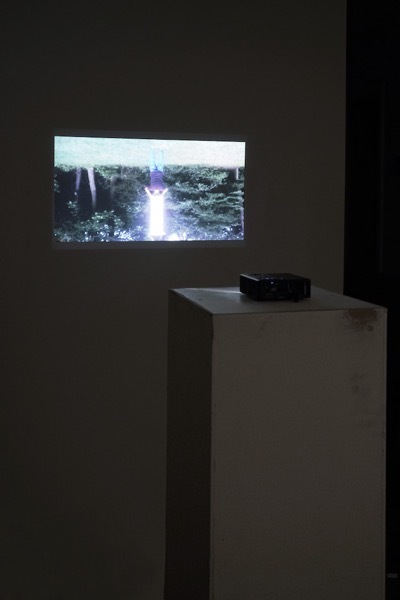 A video projector sits on the pedestal used in the video.